The smell of fresh peaches reminds me of walking through an orchard full of peach trees and filling a basket of fresh juicy peaches. It’s one of my favorite memories and I’m so glad that memory has never faded.The smell of sweet peaches is overwhelming and there is nothing like eating a fresh peach while picking them, and of course there is nothing like the juice dripping down you arm like loads of foods seemed to do when you were a kid. Funny how it feels different when you’re not a kid and you can’t wait to wipe it off, but as a kid…ahh…who cared, it was all part of being a kid, or was it just me. I didn’t pick this beauty from an orchard…. It came from my local farm stand and I think that is the closest I’m going to get to a peach orchard this year. It sure did taste like I picked it my self. It was a large peach and oh how I had plans for this handful of joy to be put into some cupcakes. I bought four, just to be sure I’d have enough. Of course I had to sample a peach just to be sure it was going to be tasty enough for my cupcake, luckily it was and I was sure the others would too, they smelled so sweet. 1 cup fresh peach, pureed in a blender. I used 1 large peach. Combine butter, shortening, and sugar, mix well. In a separate bowl beat eggs, then combine flour, cornstarch and baking powder to sugar mixture. Alternate it with the milk and eggs. blend in the peach puree until completely combined. Beat butter shortening and powdered sugar, then mix in flavorings, milk and coloring. Place in a pastry bag fitted with the tip of your choice, I used a 2D tip to create the roses. Pipe on the frosting once the cupcakes are completely cooled. They smelled like sweet peaches! 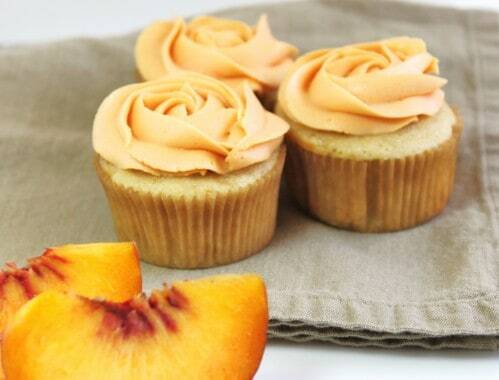 Ahhh, LOVE the idea of peach cupcakes! Gorgeous! Diane these are so beautiful, the frosting is incredible. They should be on the cover of a book, I would buy it! I am going peach picking the minute the rain stops here in New England. I have to try these. These are beautiful! I just bought an icing tip set, so I guess I need to go back and review your tutorial for icing roses, huh? Diane found your site through Pinterest. These cupcakes are gorgeous! I’ve never eaten a peach cupcake before. I can only imagine how they would smell while baking. Hubby and I take the kids peach & apple picking, this will have to be made once we come home with some (that’s if I can wait that long I might have to hit the farmers market and see if they have any peaches!) Thank you for sharing. these are so gorgeous!! must have one now:) thank you for sharing this. have a great day. Beautiful, just beautiful! I am not even a fan of peaches, but I think I could definetly eat two or three of these! Pretty in peach- I love it! I wish we’d been in Atlanta when peach season is in full swing! 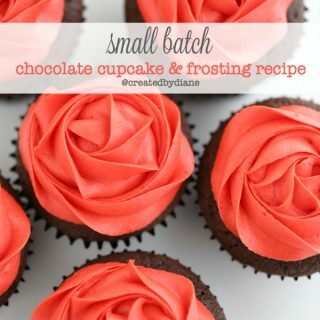 These are gorgeous – the piping on top makes each cupcake look like a sunset colored rose. 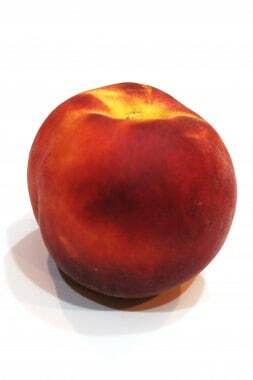 I bought a peach when we were there and was so disappointed, wish they were in full season then too. i love these. 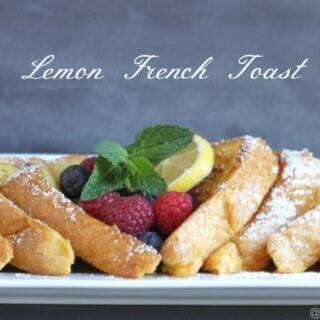 they look so delicious, i wish one could magically appear in front of me right now.. haha. found your site via myyellowsandbox. Found you through LinkedIn and I am now hooked. These cakes look heavenly. Hi there, found your recipe through pinterest. I made these yesterday and halfway through the recipe I realized you didn’t add the amount of baking powder to the ingredient list. I noticed in the directions you mention to add it to the dry ingredients. I just guessed how much to use, but obviously guessed wrong because my cupcakes were more like pound cake. Oops! The icing is delicious though! Could you let us know how much baking powder? Thanks!! I updated the recipe to reflect 1 teaspoon baking powder, sorry for the mistake. Hi I made these cupcakes and they turned out awful..no rise in them at all. My ingredients were all fresh so the baking powder was not the culprit. They didnt even taste or smell like there were any peaches in them. Sorry but they looked great but they didnt cut it for me. when you say flour in your recipes, you don’t specify whether or not it’s cake flour, AP flour or what. Just so I get the recipe right, which type of flour do I use? Well I tried your recipe for Peach cupcakes. They turned out alright. I ended up using all purpose flour. After baking them for 20 min. they kinda sunk in the middle after they started cooling and had a strong flour taste. I’m not sure what I did wrong. They are edible just not as fluffy as I would have liked. Any suggestions? Also the cupcakes were very moist but dense like a pound cake. I am an avid baker and bake all the time, just sure what I did wrong. Maybe next time I will try cake flour instead. Any helpful suggestion you have would be greatly appreciated! 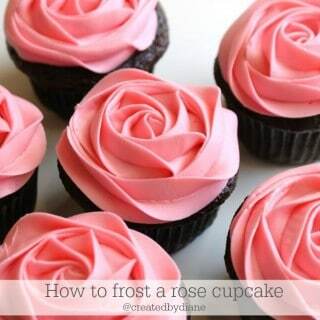 By the way, thank for your tutorial on how to frost a rose! I did it after I went out an bought the 2D tip! They looked awesome! Yes these cupcakes are more dense, maybe cake-flour would lighten them up a bit or maybe another egg. Hope that is helpful. adding some peach schnapps to the batter will help with the peachy flavor is the peaches aren’t very flavorful also. Thank you for you suggestions! I actually think I over mixed the batter which would cause the slight sinking. I LOVE your recipes! thanks, also make sure everything is at room temperature that helps too 🙂 I made a new vanilla cupcake that I LOVE and hope to write the post up soon! I did add a note saying 1/4 teaspoon, hope that helps. It is to thicken the juice of the fruit. I just made these and had the same experience as the other bakers – I actually think that the dry:liquid ratio is off …. 1 cup milk & 1 cup peaches seems like a lot of liquid for 1 3/4 cups of flour …. I happen to love dense cakes so I have no problem with that aspect. I think I will try and reduce the milk a bit next time ! 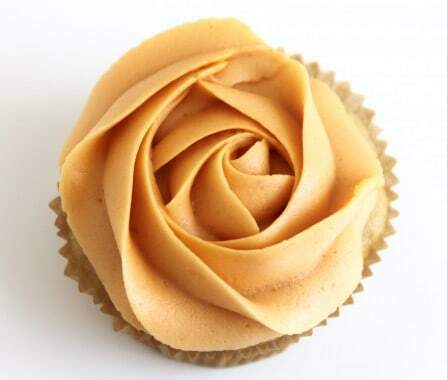 Diane, I was searching for a peach cupcake recipe and happened onto yours. Sad for me……..and I followed your recipe step by step……..they turned out terrible…..they never cooked…very doughy. Very dense – I ended up throwing all of them away….so sorry this didn’t turn out!!! !